GK Fashion - a new development studio GavickPro, Incorporating dynamic display of materials depending on the size of the screen monitors or mobile devices. This template contains three built-in color schemes (pink, blue and orange), support powerful component content management K2 as well as support for additional expansion studio: Tabs GK5, news module News Show Pro GK4 and display module mappings Image Show GK4. 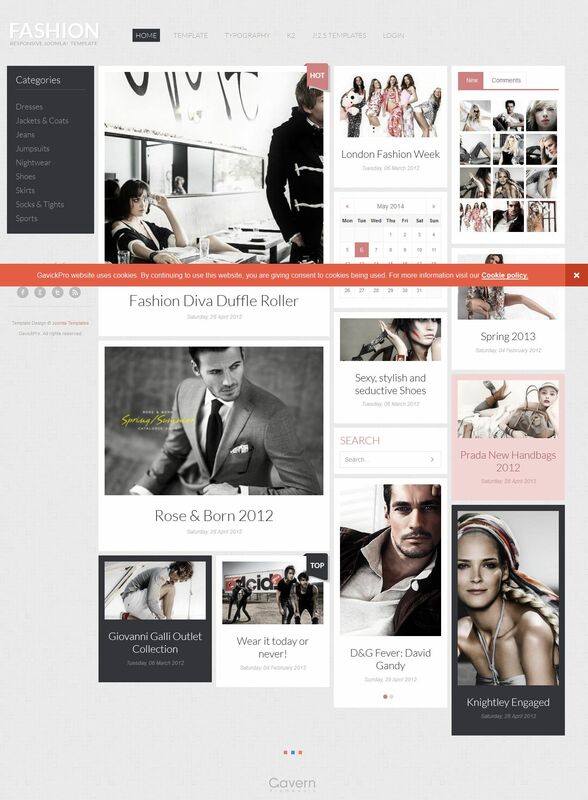 Template design is ideal for creating websites or portfolio of projects dedicated to beauty and fashion.